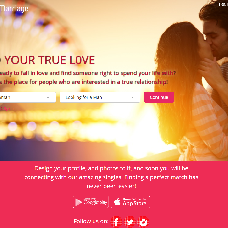 Want a similar design for your dating or a social community website? Contact us and get a free quote! Love is about taking chances. This, we believe, is true in all love stories. Real life, or Hollywood ones. From the moment we met, to the dates where we got to know each other, to the times we realized we’re already in love, this has always been true for me and my wife. If we haven’t taken that chance, we wouldn’t feel what we now feel every day when we wake up next to each other. Even up until now, years after our marriage, we both continue to take chances on our love. This, we bet, goes on forever. This site is for those who ready to fall in love and find someone right to spend your life with.